SATIRE COMPOSED: Giorgio Coniglio, September 2018. 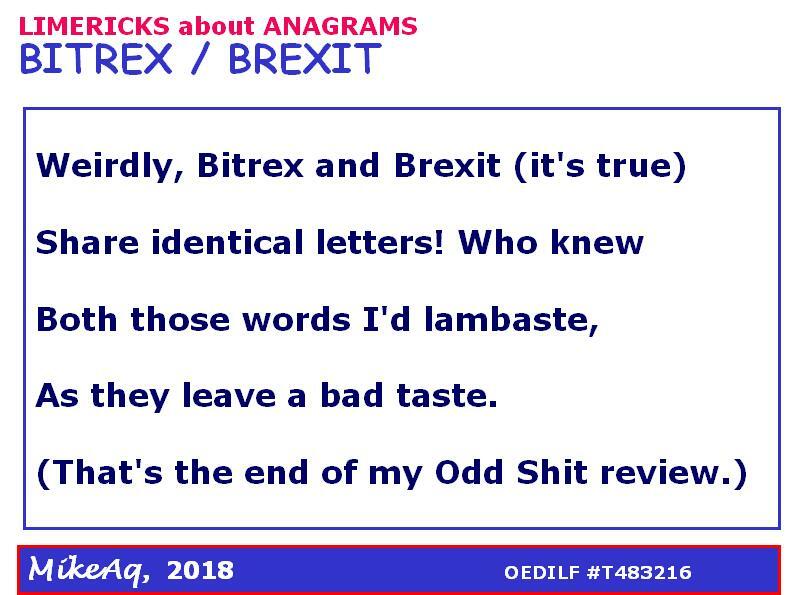 The involved verses have been published, or remain under review at OEDILF.com, an online humour dictionary that has accumulated 100,000 carefully edited limericks. Thanks are due to OEDILF contributing-editor MikeAq who offered the final verse in this collection. 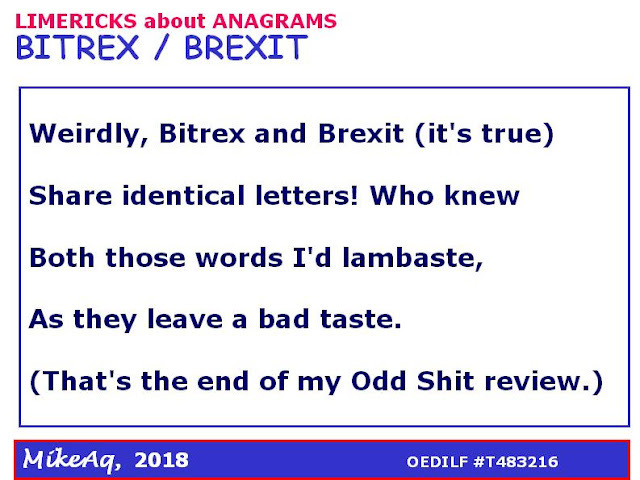 SONGLINK: For those readers who like poetry set to music: You can find lots of singable limerick-medleys on our sister blog "SILLY SONGS and SATIRE", such as this recent post.